Revealed! Top reasons why Digital Marketing is imperative for your business...! Home > Blog > Blog > Revealed! Top reasons why Digital Marketing is imperative for your business…! Revealed! Top reasons why Digital Marketing is imperative for your business…! I know it’s not hidden from anybody as to how digital marketing is swathing all the parts of the world and that India is no exception. 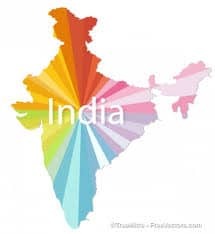 In fact, if you look at the stats and trends, you will find that it actually has become very important in India and it will really be very difficult for companies to survive in the country if they didn’t start employing digital marketing for marketing their business. I think you need not any more explanation on this as the stats were enough to tell you about the potential of digital marketing in India. Rather, these delicious sounding stats must have quickened your pulse and that you must be longing to dive into it and understand it before your rivals do. Whether you are a student, a working professional or a business owner, there is no any age limit or criteria to get started with digital marketing. However, you would of course need a holistic knowledge in digital marketing with hands on practice on it. As far as getting trained in digital marketing is concerned, there are a number of institutes in India that provide training in digital marketing covering various components of digital marketing. As you all know how important visibility happens to be for your business or say website and that you can increase visibility for your website organically through search engine optimization. Companies are looking for those who have core knowledge of SEO and even if you are a business owner it helps you with better visibility for your business as we discussed above. SEO is one of the components of digital marketing training program in DSIM. Email marketing is one of the components of digital marketing training program at DSIM. It really happens to be very important for your business according to the current marketing trends as it not only helps you nurture your leads or say your relationship with your customers but also boosts sales because of which marketers are looking for efficient email marketing professionals who know in and out of email marketing and can run email marketing campaigns for them effectively. DSIM delivers training in social media marketing and as you all know social media has become a great platform to market your business ; demand for well skilled social media mangers is increasing day by day. Let’s take facebook for example as it has reached 100 million active users in India, making itself a great market place for Indian marketers. For, it is highly targeted and measurable, online advertising is really being used by many companies to market their business and so they need professional who have holistic knowledge of online advertising. The online advertising module at DSIM trains you on all the technicalities of online advertising. It is not hidden from anybody as to how online lead generation helps your business boom high, companies are looking for professionals who are well versed with online lead generation and could help them out with it. DSIM provides you with an in-depth and hands on training on lead generation. So, looking at the stats and the current trends, it is clear that digital marketing is going to become the back bone of any and every marketing enterprise in the coming time. 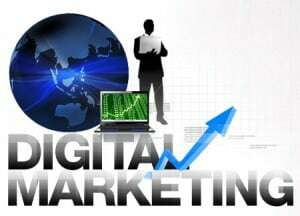 This was about the trends, if you talk solely about the advantages of digital marketing itself; there are many factors that make digital marketing the ultimate marketing platform for you whether it’s about its measurability, cost-effectiveness, flexibility, ROI calculation and so on. And, the more companies are shifting their budget to digital marketing, the more is the requirement for trained digital marketing professionals. Many students, working professionals and business owners have got trained in digital marketing from DSIM and moved their career positively to the next level. Some of them are Shitiz Singh, Tariq Zaidi and Hitesh Kumar. Shitis Singh, who is the ex-trainee of DSIM () got a hike of 4 lacs in his salary by adding digital marketing kills to his resume. Mr. Tariq Zaidi, a real estate consultant went on to become a successful entrepreneur & founder of RealtyGuru.co.in (Real Estate Portal for Expatriates) after his successful completion for the digital marketing training at DSIM and saw a 34% overall increase in his business. Hitesh Kumar who is the ex-trainee of DSIM was offered with a salary of 3.6 lacs in spite of being a fresher. He is currently working as a senior search consultant in Quodos Digital and grabbing a monthly remuneration of 30 K.